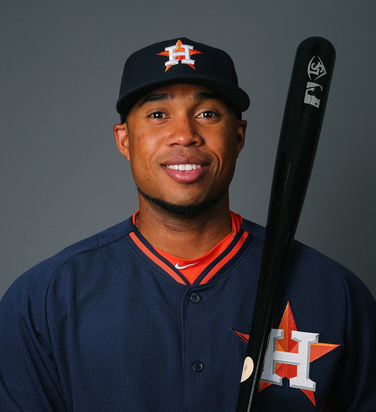 A Venezuelan professional baseball infielder is named as Luis Adan Valbuena. He is professionally named as Luis Valbuena. He played eleven seasons in Major League Baseball (MLB) for the Seattle Mariners, Cleveland Indians, Chicago Cubs, Houston Astros, and Los Angeles Angels. He is a very talented player. His batted position is left and threw position is right. He made his MLB debut on 2nd September for the Seattle Mariners and made his last appearance on 3rd August 2018 for the Los Angeles Angels. Luis Valbuena and Jose Castillo Are Killed in a Car Crash. Two former major league baseball players, Luis Valbuena and Jose Castillo, were killed in a car crash in Venezuela on Thursday night. The men, both of whom were natives of Venezuela, were playing winter league ball in the country. Luis Valbuena, an 11-year major league veteran, and former major league infielder Jose Castillo were killed Thursday when the car overturned while trying to avoid a boulder placed in their path. For playing eleven seasons in Major League Baseball (MLB) for the Seattle Mariners, Cleveland Indians, Chicago Cubs, Houston Astros, and Los Angeles Angels. On 30th November 1985, Luis was born in Venezuela. He grew up in Sucre, a municipality in the Venezuelan state of Zulia. He was the son of Nelly Valbuena and Adan Medina. His nationality is Venezuelan. Valbuena's older brother and several uncles helped him learn to play baseball. His birth sign is Sagittarius. There is no any information regarding his education. Luis has got a very attractive body features with a cool attitude. He has a tall height of 5 ft 11 in and his balanced weight is 215 lbs. With his charming smile, he attracts a lot of people towards him. His other body measurement will be updated very soon. On 6th December 2018, Luis left this world at the age of 33 in Yaracuy, Venezuela. The cause of his death is due to a car crash. Valbuena, Jose Castillo, and Carlos Rivero were in a car traveling from the Venezuelan capital of Caracas to the northwestern city of Barquisimeto where their team is based for a game on Friday after defeating the Leones del Caracas club. The car veered off the road after hitting a rock. Luis Valbuena and Jose Castillo were killed in the car crash, Rivero and the driver survived. Luis began his professional career in the Seattle Mariners organization in 2005. He was first promoted to the major leagues on September 1, 2008, from the Mariners' Triple-A team, the Tacoma Rainiers. Later, he was traded to the Cleveland Indians in a three-team trade that sent Franklin Gutierrez to Seattle on 10th December 2008. On November 26, he was traded to the Toronto Blue Jays for cash considerations. He was claimed off waivers by the Chicago Cubs on 4th April 2012. He played 108 games for Chicago in 2013, hitting .218 with 12 home runs and 37 runs batted in (RBIs). After that, the Cubs traded Valbuena on 19th January 2015 to the Houston Astros for Dexter Fowler. He was the starting third baseman for the Astros in the 2016 season. He then signed a two-year contract with the Los Angeles Angels on 24th January 2017. He was designated for assignment by the Angels on August 5, 2018. He hit .199 for the second straight season, finishing with nine home runs and 33 RBIs. He was released on August 7, 2018. The net worth of this famous baseball player is surely in millions. His exact net worth is estimated to have $30 Million as of 2018. His annual salary is $5 Million as of 2007 and $8 Million as of 2018. He was earning a good amount of money from his career. Luis is a married man. He was married to Mayela Etherington. The couple together had a son. They got married in Houston. Mayela’s mother is Carmen Calles Etherington. The couple was living a happy life before his death. There is no any information regarding his private life. He grew up in Sucre, a municipality in the Venezuelan state of Zulia. Valbuena's older brother and several uncles helped him learn to play baseball.